Prostitutes! Gun Fights! Vigilantes! Unitarians! This book has pretty much everything. It tells the story of how an orphaned, but well-off girl named Arabella Godwin became the notorious San Francisco Madam, Belle Cora. At over 600 pages, it might seem intimidating to some readers, but I found it enthralling and very readable. There was a real Belle Cora in San Francisco in the mid-19th century, and she was a madam. She was the lover of a gambler named Charles Cora, who was executed by The Vigilance Committee for the murder of US Marshall William Marshall. Yet, the story of her life--before and after this infamous episode--is the creation of Margulies. It would be tempting to dip into melodrama to frame such a sensational event, but Margulies takes the high--and more believable--road. While Arabella Godwin finds herself in the world of prostitution through some very unfortunate events, her rise to the role of the highest madam in the rough and tumble young city of San Francisco is the result of very shrewd decisions on her part. 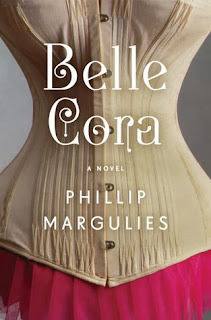 Belle is not always a likable character, and she does do some rather shocking things, but she is authentic enough for the reader to believe that this really could have been the life of Belle Cora. Nothing in her narrative is so outrageous that I would question the possibility that it might have really happened. One thing about this book I really enjoyed was Margulies's depiction of San Francisco. Other than the airport, I haven't visited that city since I was in diapers (despite being able to drive to it from my house in one long day). I was captivated about how it started out as a violent outpost populated by desperate and ambitious men and a handful of women, most of whom expressed their own desperation and ambition between the sheets. As Belle Cora's business grows, so does San Francisco so, by the time of Charles Cora's execution, it is a true American city. I have very few complaints about this book. There were times when I questioned why Belle was so in love with Jeptha Talbot, a boy from her youth who grew up to be a minister and whose presence was one factor leading her on her life's path. But, in the grand scheme of things, it wasn't that much of a big deal to me. 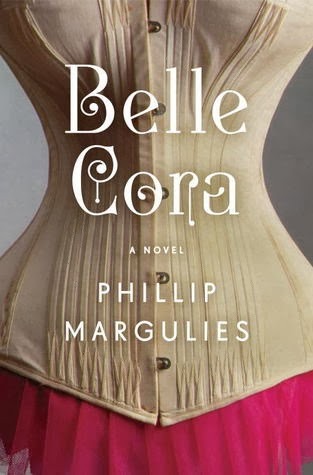 I'll admit that, after finishing this book, I spent some time on the internet trying to find out more about the infamous Belle Cora, but was able to find little more than the facts regarding Cora's execution. Margulies does list some other sources about this woman in his afterward, which I may check out--but, honestly, I'm quite satisfied with this version of her life, no matter how fictional it may be.